What is a personal dictionary/ journal? 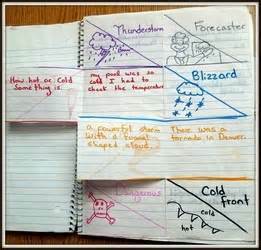 A word study book is a strategy or resource that can be used in the classroom where students make their own personal notebook containing frequently used words or concepts. The book or journal can be differentiated in many different ways for all subjects and types of students. (Echevarría, Vogt, & Short, 2013). A word study, and the use of a journal during word study, helps students build better comprehension of words rather than just using memorization on the definitions given. Students are provided word work strategies to explore the different vocabulary words. During word study, students also get an alphabetic layer, which is learning about the relationships between letters and sounds. Another layer of word study is the pattern layer, where students learn about patterns in English words (example would be CVC or CVCe). This helps students, especially ELL students learn how the English language system works. The overall goal of word study is for students to be supported in developing knowledge and ability to read and write. (Word Study Instruction in the K-2 Classroom, 2015). What should be included in a personal dictionary/ journal? The video to the right shows how to start a word study journal. This is mostly for students for a reference on how to make their word study, but it shows some good ideas of what to include in a word study journal. If you haven't made a word study journal before, this video would be a good starting point to gather ideas. A word bank is a way for students to create their own personal dictionary to help the students with vocabulary and comprehension. Not only will this personal dictionary help with vocabulary, but it will also help with students' writing. When students are writing, they will be able to refer to their word bank for help when needed. At the middle school grades, a great way to make a word bank is with a recipe box because it is more "sophisticated" than a shoebox, increasing student motivation and organization. Once each student has a recipe box, they will also need alphabetic dividers for organization. These can either be made by the students or bought from a store. Once the students have their word bank set up, they should be instructed on the process of making note cards. Depending on what the teacher prefers, there are many different components to include. One way is for students to put the word on the front of the card. On the back of the card should be the definition, visual illustration, and the word in a sentence. This can be adjusted as needed to meet the needs of the students. Reutzel, D., & Cooter, R. (2015). Word studies and word study journals are not limited to just Reading classes. Word study journals can be used in all types of courses, whether it be Reading, Writing, Mathematics, Science, Social, Music, Health, etc. In Science courses, there are a lot of academic vocabulary that is necessary for students to gain background knowledge with in order to comprehend text and instructions. A word study journal would be a great tool for students to use to keep track of the academic vocabulary (tier two and tier three words) and engage with them. It is very important that when teaching academic vocabulary, that students are "active in developing their understanding of words and ways to learn them." (Echevarría, Vogt, & Short, 2013). Sometimes it can be very difficult for students to understand mathematics based on the vocabulary of the lesson. 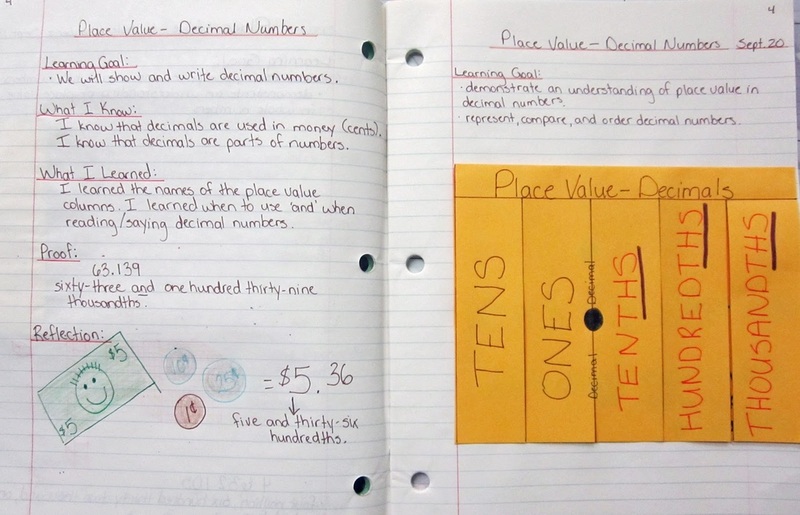 A word study journal would be very beneficial for students who may struggle in mathematics. It provides students with a resource to attend to when they are stuck and need help refreshing their background knowledge. It also allows students the opportunity to express mathematics in ways that they understand it best. It allows students to personalize their learning and give themselves a voice. It may even be beneficial for teachers to take a look at student's word study journals to gather evidence on how they are comprehending a certain topic. History class can be a very difficult subject if students are new and haven't been in America very long. History can also be very difficult because there are a lot of events to comprehend and the content can be hard for ELL students to understand. The academic vocabulary may be hard, but the word study book is a great strategy to use with students in order to help them gain background knowledge on certain academic vocabulary or events that will be in the lessons. Images from: Children ready for school - Google Search. (n.d.). Retrieved September 20, 2015. Reutzel, D., & Cooter, R. (2015). Teaching children to read: The teacher makes the difference (Seventh ed.). New Jersey: Pearson.